What qualifies as content violation? What constitutes hate speech? Can artificial intelligence be trusted to figure it out -- and for that matter, can humans? The questions keep piling up. And we wanted to know: What's the public perception of all this? Mostly, we wanted to ask people what they think of content suppression, or censorship. Allegations of it have been flung far and wide, most of which have yet to be proven -- and some of which have been disproven. Among this narrative, we wanted to know what who -- if anyone -- the public believes is being censored on social media. So, we asked over 600 people to weigh in. 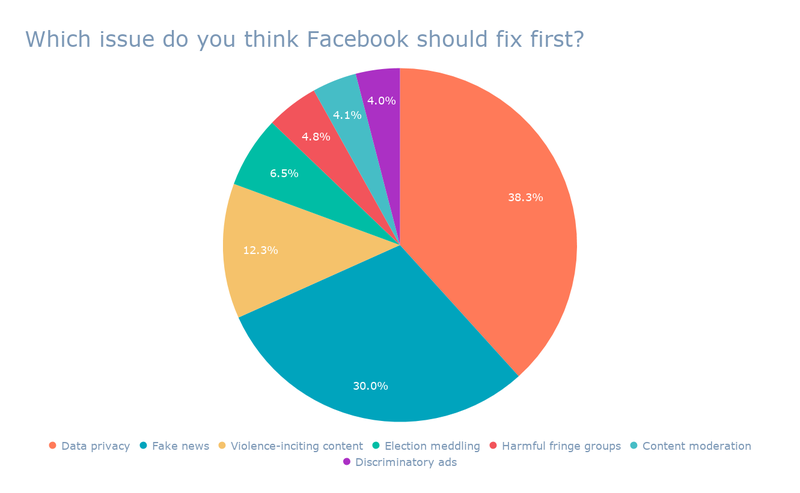 Nearly half of respondents across the board -- an average of roughly 43% -- answered "none of the above," indicating that they might not think Facebook is over-censoring anyone. 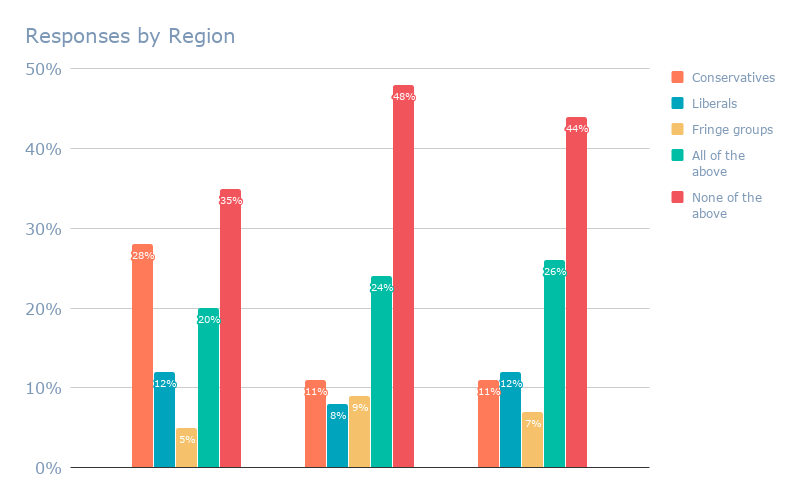 We posed the same question about Twitter to 671 people across the same regions. The results were similar, with nearly 43% of respondents answering "none of the above." 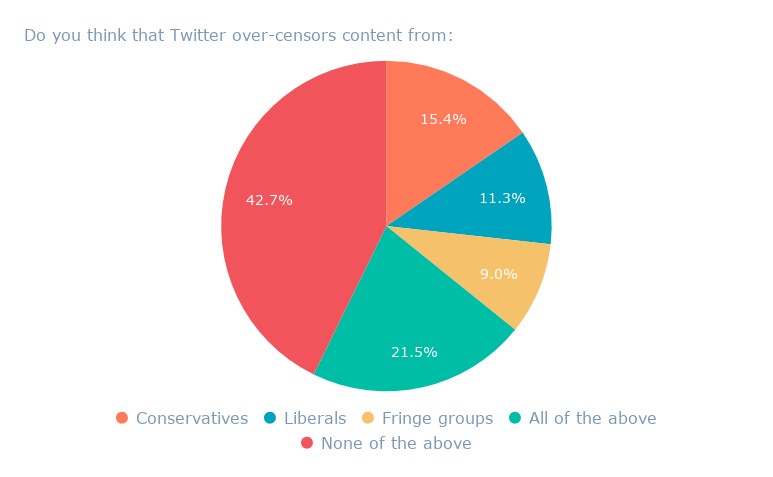 It's interesting to note that, here again, the U.S. had the highest percentage of respondents answering that they believe Twitter over-censors content from conservatives. For several months in that region, this narrative has been publicly reinforced. The U.S. House Judiciary Committee, for instance, held two separate hearings on the "filtering practices" of Facebook and other social media platforms within a few months of each other. Twitter also came under fire for allegedly "shadow banning" the profiles of high-profile conservative users, which was later denied and disproven. If these allegations of censorship continue -- and as of publishing this post, they are -- we expect additional, formal research to be conducted. 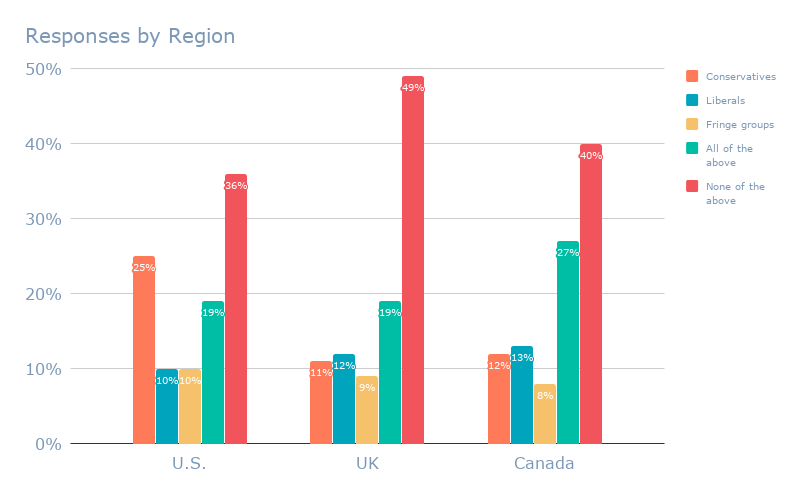 In fact, when we asked 713 people across the U.S., UK, and Canada which problematic issue should be the highest priority for Facebook, content moderation fell pretty low on the list -- with only 4.1% of respondents citing it as the problem to be fixed first. If anyone is being censored on social media, some say it's not necessarily those with the biggest platforms. In fact, there have been stories of brands flagged and unable to share certain types of content (like links to their sites) on Facebook -- sometimes without explanation. We'll be keeping an eye on social media censorship and reporting on any new developments.